Does Your Scent Enter the Room Before You Do? Okay, Friend, it's gone on long enough. You douse yourself with your favorite perfume or cologne. You add deodorant with a completely different scent, then use a contrasting hand lotion. 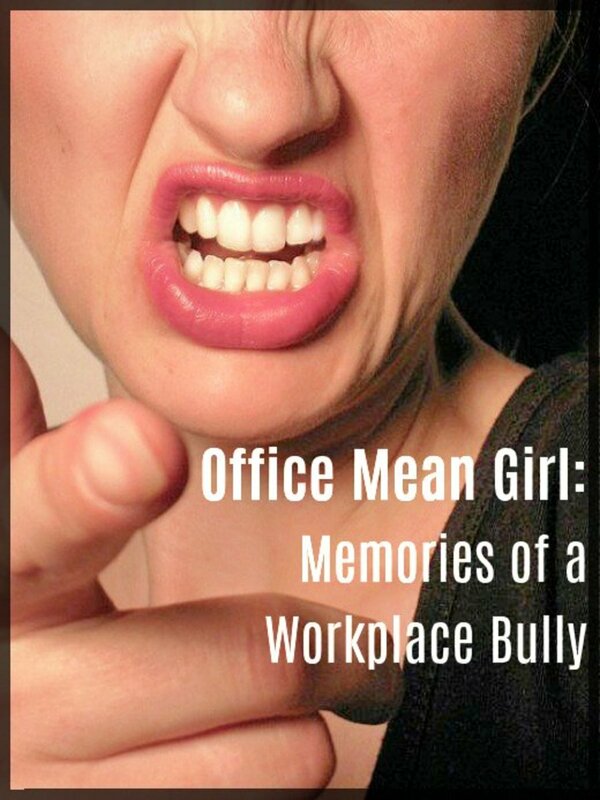 You eat hard boiled eggs and tuna sandwiches in your cubicle. You exercise at lunchtime but skip the shower. Or, you don't believe in deodorant. If you think no one notices, you have another thing coming. You aren't being "scents-itive" to coworkers, clients, and friends. Friend, your office mates are suffering. They complain, struggle to ignore it, or offer you hints that are apparently too subtle for you to comprehend. 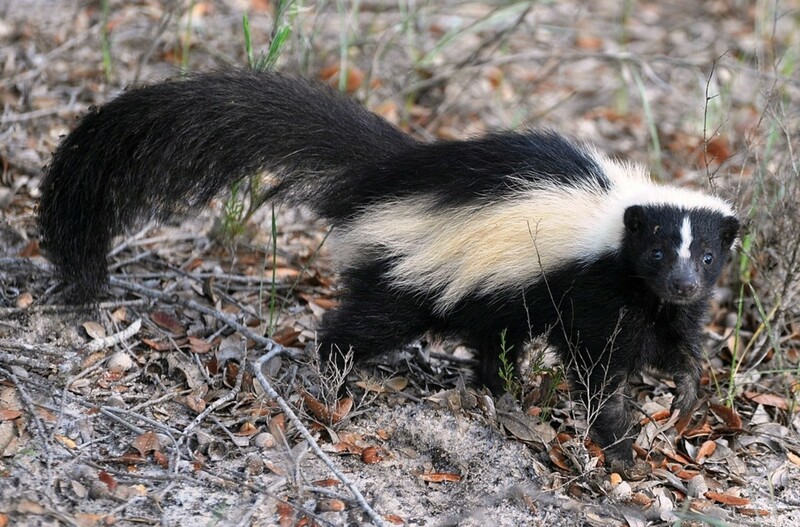 Pepe Le Pew ... Is That You? Thus, in your attempt to smell good, you may be annoying others. You may even be making them sick. health problems - on occasion, personal hygiene is a symptom of a physical or mental illness. How are you smelling at work? Honey, I'm scent-sational. I wear my fragrances in layers -- the more the better! I'm a part-time Pepe Le Pew. I exercise at lunch or eat strong smelling foods in my cube. Get used to it! I'm a "scent-sitive" coworker who tries not to dominate the office odor with my scent. I don't know. Wait a minute and let me do an armpit check. Eww, Is That You Smelling All Funky? These are common examples of smells that can trigger hypersensitivities. Tell us about your experience with fragrance and smells in the workplace in the Comments Section below. Before you dismiss these health concerns as trivial or simply not your problem, consider this: fragrance sensitivities can be regarded as disabilities under the Americans with Disabilities Act (ADA). The Americans with Disabilities Act (ADA) protects employees who have a disability, a record of a disability, or are regarded as disabled. Employers covered by the ADA are therefore obligated to take fragrance sensitivity complaints seriously. Some employers have even instituted scent-free policies as accommodations. Packing A Lunch? Foods That Make You Go "P U"
You may enjoy these, but these smelly foods and beverages can trigger allergies, migraines and other health problems in others. Consider enjoying them outside the office. Humans can detect an estimated 1 trillion odors, although there is great variability in individual performance.5 Many odors are detected through nerve endings that are associated with pain and temperature sensation rather than smell. recall emotions and memories (e.g., your grandmother's home). A wide range of medical conditions and substances can impact our sense of smell and thus how we experience the world. Between the ages of 65-80, approximately half of the population experiences some loss to their sense of smell.11 After age 80, the proportion rises to three-quarters. The loss of smell is a significant sign of possible neurological damage. For example, 90% of Parkinson's patients suffer olfactory loss. Also, loss of smell is an early hallmark of Alzheimer's disease, and the number of brain lesions in patients with Multiple Sclerosis significantly correlate with loss of smell. Wearing too much perfume has also been found to be a sign of depression and deficiency in zinc. Therefore, if you suffer at the hands of someone in the office who wears too much fragrance, consider that they could potentially have a medical reason they wear too much scent. That's all the more reason to approach the situation with care and avoid jumping to conclusions. Is That You Smelling Like That? Tread softly in dealing with the office fragrance-lover. There may be medical reasons your co-worker wears too much fragrance. The above list is not all-inclusive. You love your signature scent, but do other people? Perfume and cologne shouldn't be so overpowering that others suspect you bathe in it. Because you can easily become desensitized to your own aroma, learn to recognize when you're wearing too much fragrance. And if you know that you have one of the above medical conditions that can affect scent (see table), explore the possibility that you might be wearing too much cologne or perfume. Sign #1: If you receive even positive comments such as "you make the whole room smell nice" or "I smelled that you were here," you're probably wearing too much. Someone should be within an arm's length before they remark how nice you smell. Sign #2: If you apply perfume directly onto your skin and the area remains wet a few seconds later, you've overdone it. Or, if you use more than two sprays, it's probably a bit much -- especially for the work environment. Sign #3: If more than one person has ever told you that you smell strong, ask a friend for feedback. Seriously, a little dab will do you. Sign #4: If people sneeze, cough, or complain of migraines around you, or if they avoid standing next to you, that's a big clue. Your scent may be making them sick. Sign #5: At the end of the day, if you can still smell your own fragrance, you've probably overdone it. A person's scent receptors become immune to his/her own smell. 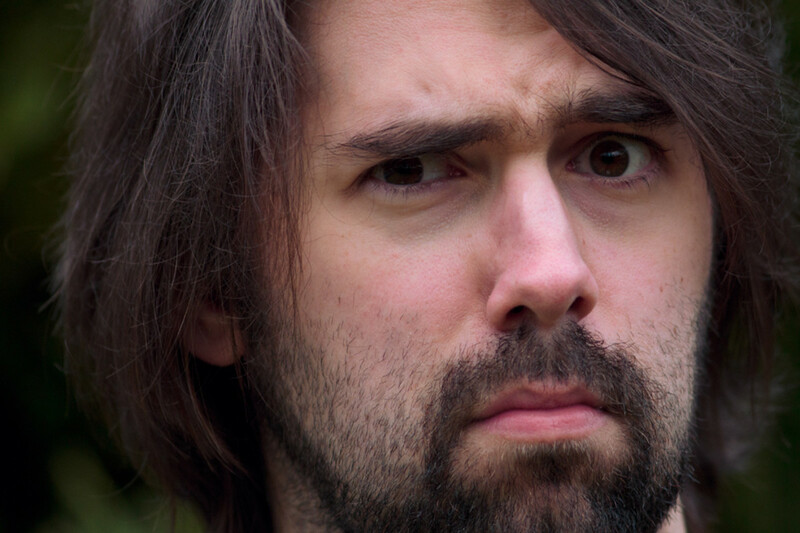 A Humorous Salute To "Mr. Way Too Much Cologne Wearer"
Consider involving HR or your manager—especially if there is a known medical issue involved. Although it is possible to send an anonymous text message or an anonymous e-mail, you're likely to receive superior cooperation if the situation is handled face-to-face. If you choose to handle the conflict yourself, address the situation with your co-worker privately. Be direct in describing the issue. It's okay to acknowledge feeling awkward about the situation. Understand that your co-worker may feel embarrassed and defensive. Ask for their help, rather than making a demand. Avoid making judgments. Describe behaviors rather than attitudes and motivations. It's entirely possible your co-worker is unaware. It is inappropriate to suggest that a medical condition may be influencing their scent choices. 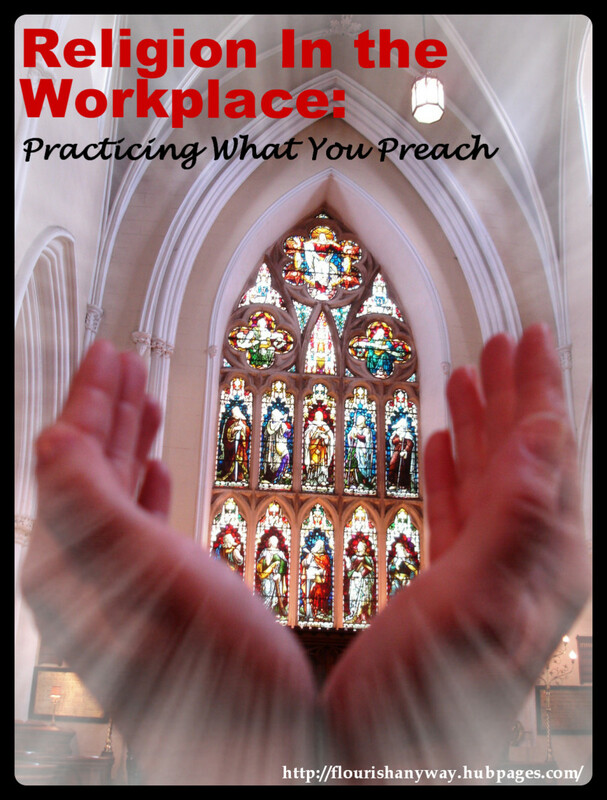 Treat your fragrant co-worker with the same respect and courtesy you want from him or her. Thank him or her for understanding. "Susan, I wanted to talk with you privately about something that's been bothering me. It's a little uncomfortable for me to share this. When you wear perfume and paint your nails at your desk, I find that the scents trigger my migraines. Would you be willing to help me out by avoiding scented products like perfume or cologne and painting your nails outside of the office? I appreciate your hearing me out." How do you approach difficult conversations? My mouth usually gets ahead of my brain. I just blurt it out and suffer the consequences. I avoid difficult conversations and hope that subtle hints will do the trick. When hints don't work, I suffer in silence. I look at difficult conversations as an opportunity to discuss the problem and perhaps even enhance the relationship. In dealing with chemical sensitivities in the workplace, you will need to be creative as well as patient. Options may need to be tested via trial-and-error. Change the location of your workstation. Move your work area away from the irritant. Being in contact with fewer people should reduce your scent exposure. Work from home several days a week. Telecommuting can reduce overall exposure. It can also alleviate symptom severity during times when you must be physically present in the workplace. Adjust your work schedule. Modify your work hours by going into work and leaving a few hours early. Use a portable fan or air purifier. Fans can redirect offensive odors elsewhere. If you have an office, an air purifier with a good gas or carbon filter might help. 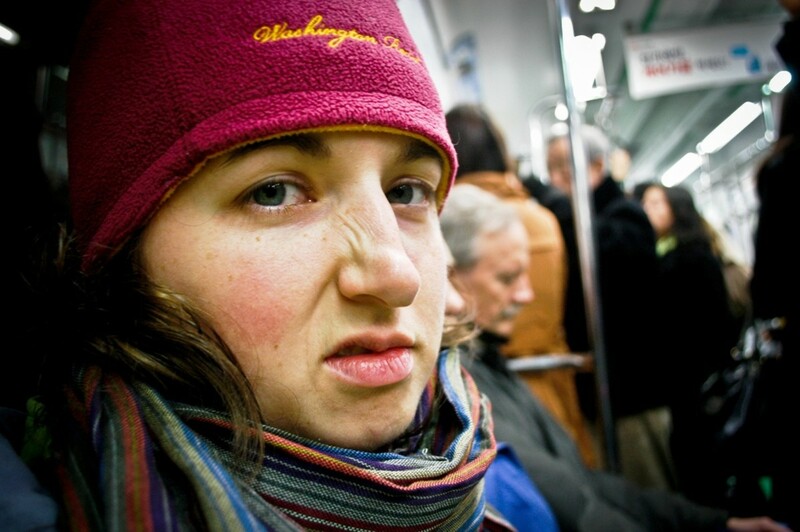 Interact with smelly co-workers via phone, e-mail, or teleconferencing as much as possible. Celebrity Fragrances: Scents and "Scents-sibility"
"I don't use deodorant. If you drink enough water, you shouldn't have to. I think I smell pretty good without it." "The lovesick, the betrayed and the jealous all smell alike." "I judge people on how they smell, not how they look." "People who wear fur smell like a wet dog if they're in the rain. And they look fat and gross." "Smell is incredibly important and sensual. It communicates who you are." "I smell of sweat. I don't like people smelling of all these weird things. I think deodorant is disgusting." "The sense of smell explores; deleterious substances almost always have an unpleasant smell." 1Caress, S. M., & Steinemann, A. C. (2009, March). Prevalence of fragrance sensitivity in the American population. Retrieved March 27, 2014, from http://www.ncbi.nlm.nih.gov/pubmed/19326669. 2Bouchez, C. (2008, January 11). Fragrance Allergies: A Sensory Assault. Retrieved March 27, 2014, from http://www.webmd.com/allergies/features/fragrance-allergies-a-sensory-assault. 4Canadian Centre for Occupational Health and Safety (2013, January 28). Scent-Free Policy for the Workplace : OSH Answers. Retrieved March 27, 2014, from http://www.ccohs.ca/oshanswers/hsprograms/scent_free.html. 5Williams, S. C. (2014, March 20). Human Nose Can Detect a Trillion Smells. Retrieved March 28, 2014, from http://news.sciencemag.org/biology/2014/03/human-nose-can-detect-trillion-smells. 6BBC News (2002, February 4). Women nose ahead in smell tests. Retrieved March 28, 2014, from http://news.bbc.co.uk/2/hi/health/1796447.stm. 7Sember, B. (n.d.). 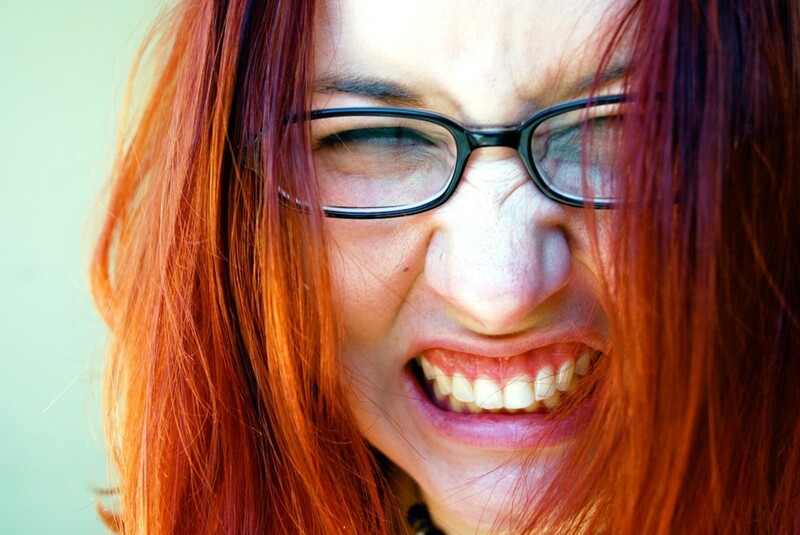 HowStuffWorks "Why do women have more migraines than men?". Retrieved March 28, 2014, from http://health.howstuffworks.com/wellness/women/general/women-more-migraine.htm. 8Honeycutt, D. (2013, November 11). Science Confirms That Old People Really Do Have a Smell. Retrieved March 28, 2014, from http://gizmodo.com/science-confirms-that-old-people-really-do-have-a-smell-1472502978/all. 9Park, A. (2013, March 27). Can You Smell Obesity? Retrieved March 27, 2014, from http://healthland.time.com/2013/03/27/can-you-smell-obesity/. 10Doty, R. L. (2007, March). Smelling and Tasting Problems. Retrieved March 28, 2014, from https://www.dana.org/Publications/GuideDetails.aspx?id=50045. A coworker doesn't wear deodorant and sometimes he stinks like hot chicken noodle soup. I want to gag. What should I do? For some workers, it's their sweaty armpits, and for others, it's their breath. What a difficult situation! 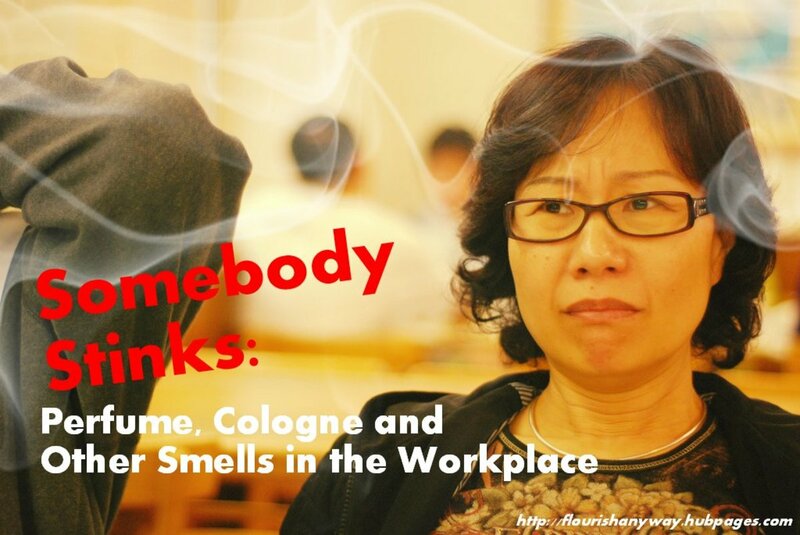 There are some general tips available in my article "Somebody Stinks: Perfume, Cologne, and Other Smells in the Workplace" http://hub.me/agkQy under the heading "How to Deal with a Smelly Coworker," but these may be less applicable to your situation since you're dealing more with a yucky body odor issue rather than a perfume and allergy problem. There could be cultural, religious, mental health, or age issues involved as well so tread carefully. 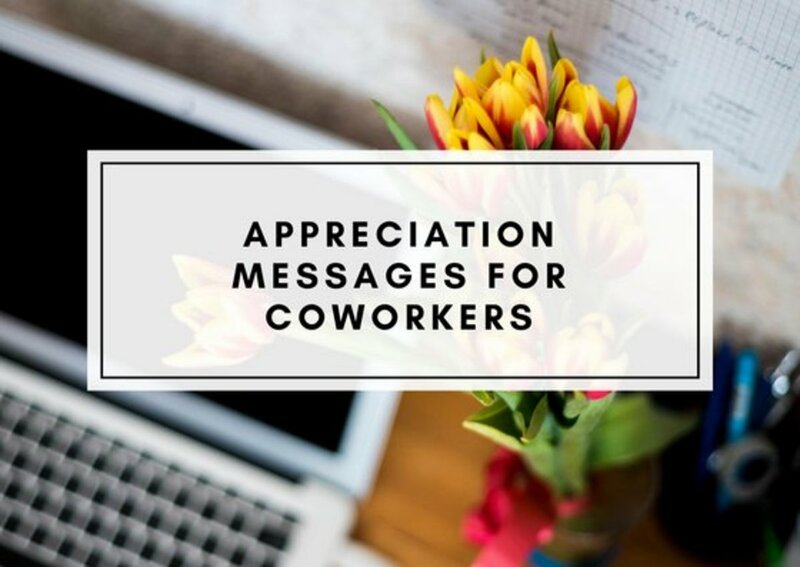 If you have a good relationship with your coworker and feel comfortable doing so, approach him directly but respectfully and explain the issue as nonjudgmentally as possible. Examples: "Frank, when the weather is hot, your deodorant stops working, and the odor is very distracting to me. Do you mind wearing an antiperspirant to reduce sweat and body odor?" or "Sam, when you exercise during lunch and don't shower before returning to the office, the sweaty odor is very distracting for the rest of the afternoon. Do you mind rinsing off before returning to work so I can concentrate on my job?" 1) Ask if the manager has noticed the smell. Describe what stinks (armpits, breath, feet, etc.) and just how bad it is. 6) what you want the manager to do about it (propose a solution). Acosta - I would hope that you could explain that you became nauseous at the smell of a scent that a coworker was wearing. There seems to be more going on in the story. Violet - Ah, Canada. Ok then. So you can either attempt to stay with your current employer, working with them to the extent that they will cooperate, or look for other work. If you seek to stay, be forthright with HR that 1) this fragrance sensitivity stems from (asthma, allergies, chronic bronchitis, COPD, or whatever your diagnosis is ) and is a disabling condition that you did not choose to have and it's doctor-verified, certainly not a matter of your personal preferences of certain odors; 2) you are good at your job (assuming that's true), enjoy your work, and are committed to the company and serving your customers; 3) you want to simply do your job without being ostracized by coworkers for your medical condition and you need their help in making some adjustments so that you can do so. Suggest a number of possible accommodations in concert with your doctor. The Job Accommodation Network https://askjan.org/ lists a range of possible options, some of which may or may not help you or even be appropriate for your situation. If they don't want to work with you, think hard about whether you want to voluntarily resign. I don't know what options Canada has that are similar to unemployment, workers compensation, or short term disability but you may want to consider them instead of voluntarily quitting unless you can easily find a suitable replacement job. I assume you need some money coming in, right? In the mean time, you may want to start looking for another job. You may be pleasantly surprised. Small business owners may be more understanding regarding personal situations, especially if you repay their understanding with loyalty. Thank you so much for your reply- I believe completely failed to specify I am in Canada...probably nothing listed below applies here in Canada. https://www.laborlawcenter.com/education-center/ne... Allowing co-workers to shun you is retaliatory behavior. Consider filing a new complaint about that and be ready to name names and provide specific examples. These folks need to grow up and just get to work. Just like you didn't get to pick your medical conditions, you won't get to pick the accommodation that your employer settles on. However, you can suggest any preferences you might have. 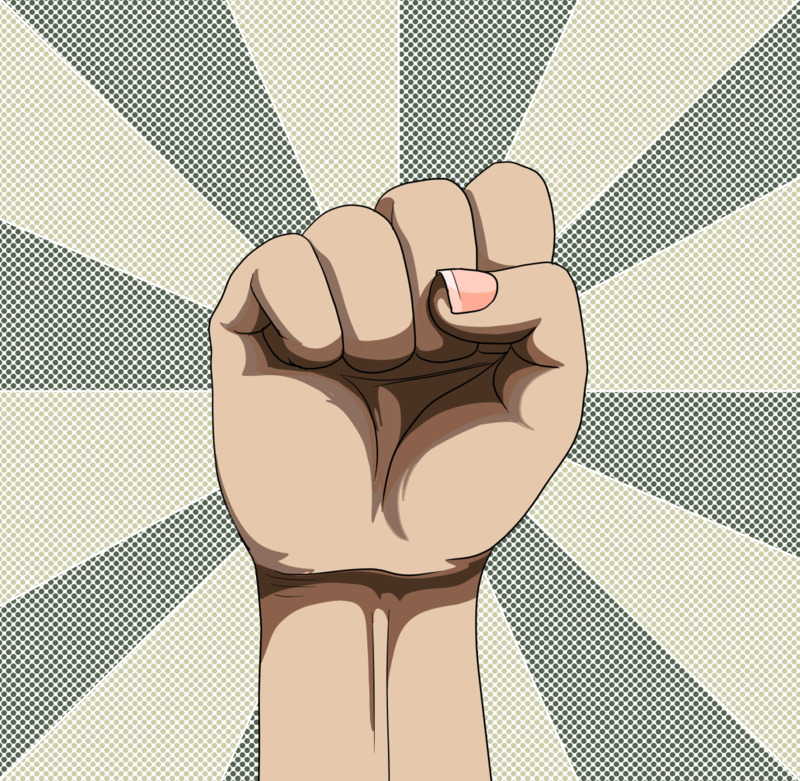 Express a desire to work positively towards a solution. Engage and educate even though they are jerks. One never knows who will come down with migraines or allergies or need chemotherapy (which often makes people sensitive to fragrances). For all one knows, the company may have customers that are affected and they don't even know it! I wish you the best of luck. Mel, That's a "stinky" situation for sure. If you are the owner of this business, obviously you can choose to either 1) keep her business/support but risk your comfort and health or 2) be frank and honest and risk the possible consequences of her being offended. If customers and employees are also complaining, that should help inform your choice. There are discreet and respectful ways to have this conversation, if that's your choice. A local dry cleaner in my community, for example, asks people not to bring in items with cat hair on them because the owner is so allergic that she was hospitalized. Both my mother and I were customers there and had cats. 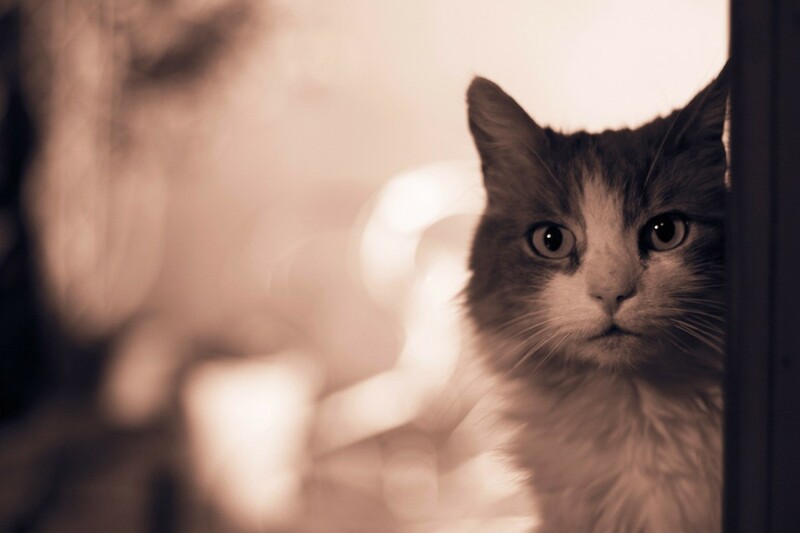 Although we were a little miffed at first, she does such a good job and her prices are reasonable that we do continue to go there, and we clean off all the traces of cat hair before we go. Kindness, respect, and providing adequate explanations pay dividends. Good luck with your situation. Can anyone advise on this sticky situation? I run a tiny spice & tea shop and we have a regular customer who uses an absurd amount of perfume. I can smell her before she even comes in the shop, and the scent builds up in the tiny room while she is here. It is suffocating...and it lingers in the shop for hours after she is gone. Even worse, she pays with cash and her cash reeks too! It really bothers me, it makes me feel dizzy and nauseous. I often get headaches on days she comes in. Not to mention, we sell spices and tea, so scent is really important here! But like I said, she is a regular customer--one of our biggest supporters--so I don't feel comfortable talking to her about it. Do I just have to suffer a few times a week? memyselfandI - To some they just smell bad while to others they induce migraines and other strong physical reactions. Go to any allergist (and some neurologists) and they'll have signs posted that require you not to wear any scented products while in their office for this reason. It not that these things cause headaches, it that they just plain smell bad. Olivia - Sounds like you have some stinky folks in your place of business. Thanks for sounding off. Wish you had shared more. I feel you angry coworkers! Tired of Smells - Ultimately, it's YOUR house and you and your partner have the say as to who stays and for how long. Agree with your partner on your approach and create a united front. Then matter-of-factly tell your unkind father-in-law via Skype well in advance of his visit that you are serious, that you do want him to visit, but there are key conditions and it's a medical matter. Give him no more than 3 alternatives. For example: Alternative 1: Don't visit. Alternative 2: He can leave the cologne at home and stay with you. Alternative 3: Stay in a hotel or another relative's house (decide who pays) and he can visit with your family on days when he's not wearing cologne. Because this is your husband's father, he needs to step up strongly, supporting you and taking the lead in answering any pushback by his father. I had a similar situation with my husband's mother who was a chain smoker. She was rude about doing it anywhere she pleased -- in a car, in your face, in your house, etc. Giving someone choices is better than giving them a request or an ultimatum. Emphasize that you want to see him and love him and it's about the cologne and medical condition, nothing else. I hope this helps! Well what if it's my fil, not a co-worker that douses himself A FEW TIMES A DAY. Yeah you read that right. And get this, he puts it on HIS HANDS first and rubs it all over his body. Yea, I don't live with him, but he visited from abroad so he stayed with us for 6 weeks. That crap was everywhere. Then the breaking point- I noticed it was all over the washer and dryer, as in stuck! It took like a million loads of vinegar to get it out. And for the dryer it was a soak a towel in vinegar and let it run a million times deal. I was about to buy new ones! Listen if someone can PLEASE give me tips for prevention because he's supposed to come over again and I feel overwhelmed. And yes, we've already asked him not to wear it this time. His response was "hahahhahaha". The worst part is I have asthma and last time it even bothered my baby's skin. I didn't really even want him to hold her (which is sad because he's not a bad guy otherwise). Any ideas folks? Thanks!!!! Jenni - The most obvious and congenial method of solving the issue is talking directly with the co-worker, but if that and going to management have failed, then you might try the Americans with Disabilities route. Check first that your workplace is covered by the ADAAA (see the EEOC website). Work with an allergist or other medical specialist to get a diagnosis first (e.g., asthma, multiple chemical sensitivities, COPD). An impairment such as asthma that is episodic or in remission is a disability if it would substantially limit a major life activity such as breathing when active. Get your diagnosis and talk with your doctor about your work environment, other triggers, and severity of your reaction. Ask the doctor for his/her take on recommended accommodations (which you will use when you approach HR). Assuming you have a qualifying disability, then approach HR again with your medical diagnosis and a request an accommodation (e.g., to be moved, to require the coworker to cease use of the oils, etc.). If you have a disability, the accommodation request should be an informal interactive process between you and HR. They may request documentation, and their final accommodation may not be what you requested (e.g., they may want you to do something silly like wear a mask). Here is some basic information that may be helpful: http://research.prudential.com/documents/rp/RP-Nee... Best of luck to you. There is a person at work who uses these oils on their hands. I must be allergic to it because when she gets with in 2 feet of me, I LITERALLY cannot breath. Apparently, her hands are more important than me being able to breath because HR, my boss and the controller refuse to say anything to her but can say something to another co-worker about her diffuser giving someone a headache. This can't be legal. Any help would be greatly appreciated. Special Counsel - Sorry to hear you have such an extreme reaction to fragrances. Your story -- and thanks for sharing it -- is an example of how what is pleasant and soothing or exciting to another can be dangerous to another person. I wish you health and happiness. This goes maybe a quarter of the way for my fragrance/chemical allergies due to Mast Cell Activation Disease. Not many physicians know about this testing and all, I suggest any person getting sick around with fragranced/chemical laden people tell your physician about Dr. Lawrence Afrin's work. There's a white paper on this disease that can be accessed online. The numbers of people not being able to handle fragrances is rising rapidly. Who knows, you could be next... I have not been able to work for years due to my condition. Going out to dine is very risky and we might have to move to other tables, I can't sit in the middle of a restaurant, I need to be by walls, to protect myself from having a reaction. Ann - Good point. Allergists actually have signs indicating such. please leave your perfume at home when you visit your doctor. its rude not to. ezzly - Oh that is terrible. I hope you survived that exam. Chicken noodle soup and not in a yummy way. Bleck! LOL chicken noodle soup, too funny ! I was in university with a guy who smelled like that all the time and when I was doing my exams I had the misfortune of sitting near him , I felt like vomiting and got a pain in my stomach ! ezzly - Yeah, B.O is awful -- smells of chicken noodle soup. Thanks for stopping by and for voting! Voted up, I love this., it is so anti social to wreak of anything especially dodgy cologne or even worse B.O. ! savvydating - Ooooh, there's nothing like a good smelling man. I might be the "odd man out" here. I love cologne and perfume. But I agree that "stinky" is definitely a bad thing. However, two sprays of fantastic perfume/cologne to the stomach, such as Marc Jacobs or Cartier are divine. I want to eat a man up when he smells that good. But, you did recommend two sprays, so we're on the same page there. Anyway, your hubs are always great. It's true. No one should stink! ologsinquito - And strong smelling foods -- double yuck (unless, of course, it's on my plate, haha). Thank you for commenting and sharing. Have a terrific week. I think I'm becoming increasingly sensitive to cologne and perfume. At one time I liked these smells. Now I think these chemicals just stink. Yuk. Shared and more. favored - Thanks so much for visiting. Glad you stopped by. Your topic fascinated me so I had to come visit. Glad I did. Some people do wear too much perfume, but some of the other things you mentioned are a problem at times. You presented this in a fun way, thanks. Sami - Body sprays with a light scent are a good idea. Thanks for reading and weighing in. I must say that I am a smoker, and so applying perfume is my way of freshening up so that I don't completely reek of cigarette smoke. I get comments that I smell nice when in close contact with other people (which for me is a relief that it's a nice smell versus smelling like smoke). Normally I stick with body sprays because they are not as overpowering as perfume. Great hub, as always! Thelma - That must have been some strong and memorable stuff. Many a migraine have started from someone's desire to get noticed. Great and useful hub. You remind me of having headahe every time somebody passed near me with a pachuli containing perfume. It really made me sick. Unfortunately it was a passers by. Raul - Thanks for reading. I'm glad you enjoyed it. Stinky customers are certainly a job hazard. I'd suggest springing for Glade or another alternative air freshener. I hate the smell of Lysol, too. Blek. Unfortunately for me, it's not my co-workers that smell. It's the customers. The worse they smell the closer they get when talking. I can handle the conversation with a co-worker, but I have to be less forward with the customers. The other consequence of the smelly customer is the stench of lysol, sprayed by the associates once the customer is gone. Thanks for the laugh, flourish. Peg - I almost wish there were little leave behind cards that said, "Excuse me but you have wretched breath." or "Dude, you're killing people with the cologne. Dial it down. Will ya?"". My luck and they'd see me as I was heading out the door.". Chances are if you thought that, others did too. Thanks for stopping back by. I came back to check this one out again, Flourish, and watched that funny video, "Mr. Way Too Much Cologne Wearer". Some of the new liquid body soaps that men are using have an overpowering smell that can take your breath away. I got a huge whiff of someone at the local home improvement store and I wanted to say something to the store guy who was politely trying to help me order a toilet. Aaargh, it was burning my nose to stand nearby while he tapped away on the computer keys. It nearly lost him the sale. Anonymous - I'm sorry you have to deal with this unpleasantness. I do worry about whether your father might be dealing with a medical condition. I encourage you to mention it or have another family member mention it to both him and his family doctor. Peg - Yes, in the end I think you have to balance your health and comfort day in and day out vs. the risk of alienating a coworker. It could be a tough call for some people. Thanks for reading and commenting. It's a very touchy subject! 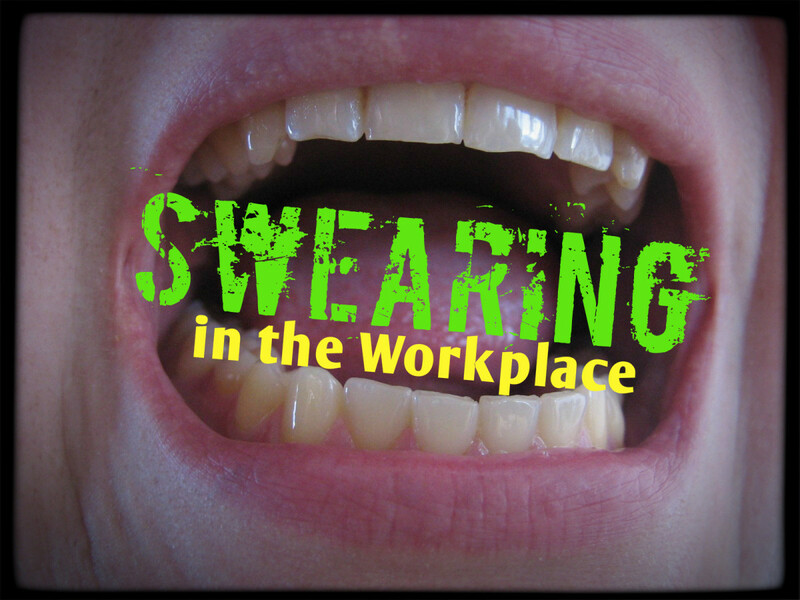 Good suggestions for handling this touchy workplace subject. The confronting a teammate video was well done. I've been on both sides of the stinky issue - as the offender and as the person with allergies. It really can alienate someone to basically tell them they stink - even when it's said in a politically correct way and you, "Frame it as a favor". Oh, so touchy. Mj - Now you have me wondering how those waitresses are transferring their perfume to your coffee. Hands touching the rim of the cup perhaps? Yuck. Thanks a bunch for reading and commenting. Flourish, this is just excellent all the way around. It took me right back to those days in the office (gee, thanks). 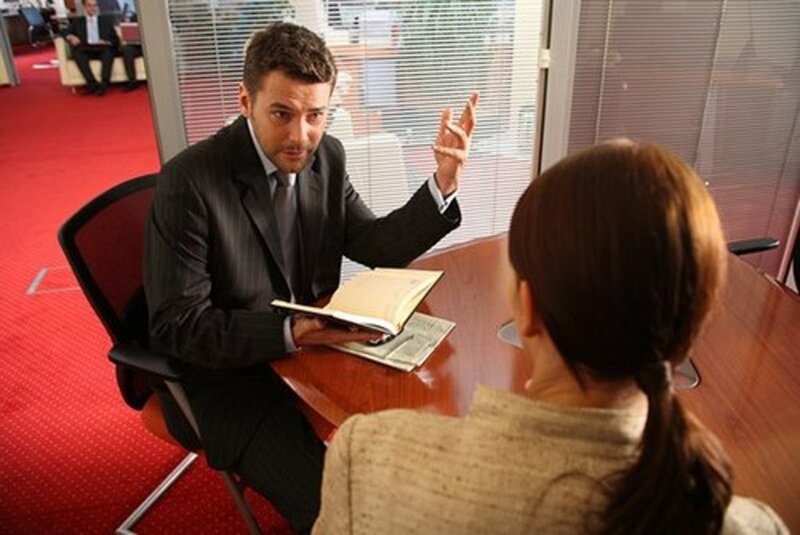 As a manager I had occasion to counsel people at various times regarding stinky issues -- scented candles, perfume, body odor, halitosis, and the famous tuna lunches. Somehow, even second-hand smoke smells worse when it's emanating from one's breath or body. One of the few allergies I have is to certain perfumes. Not only does it choke me up and make my eyes stream, but I cannot stand the smell of heavy perfume. Yesterday my physical therapist had a bit much on and I went home smelling of it after she worked on my shoulder. I've decided that second-hand perfume is as bad as second-hand smoke. Finally, one more perfume pet peeve -- those waitresses who wear so much that it transfers to the coffee cup they put on your plate. Now, how they manage to pass their perfume on to a cup that they hold in their hands, I'll never figure out -- maybe I don't want to know. Nothing like a cup of Eau de Java. Coffee with an identity crisis -- no thanks. The joy of being a derelict of sorts, now that I am self-employed, is that I have traded workplace perfume felons for fresh air, open windows, and the occasional stink bomb dropped by one of our two kitties, reminding me to stretch my legs and clean the letterbox. I won't trade it for the office filled with people who chewed spearmint gum, popped popcorn all day (that constant aroma is tedious even to fellow popcorn lovers) and bought White Shoulders by the gallon! Peggy W - Thank you for commenting and sharing. Have a great weekend! Take time to smell the roses! Working in HR you have undoubtedly come across many interesting stories and circumstances which need to be handled properly. 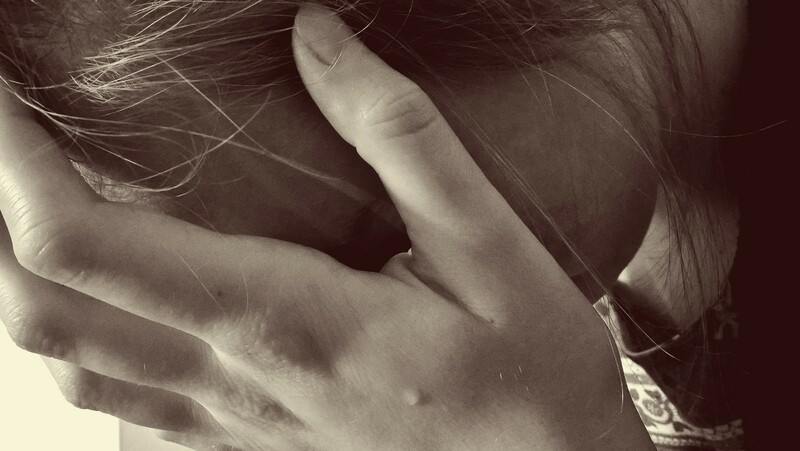 Overpowering scents of just about any kind are offensive to many people but for those who suffer ill physical effects such as migraine headaches, etc, it can be devastating. Well written hub offering good advice and spiced up with cute photos. Up votes, tweeting, pinning & sharing. More people should be aware of this! Shanu k - Thanks for stopping by. Have a good weekend. Deb - You are very scent-sitive. Thank you for sharing your experiences so that others can understand what it is like to live in a world where others can make you miserable just by splashing on cologne or other smell-good products. I'm sorry you suffer from this so much. I can't tell you the entire story of my life, but perfumes and colognes trigger my asthma. It's so bad for me, that it can last for days with one "whiff." I used to love perfume, and I wore it everyday, no matter what. Now Perfume Karma has me in it's gripe. I had a cold/flu like virus that left me this way, an adult onset asthma issue. I'm always dodging scents, everywhere! Church even (worst place). Currently I'm not working but when I was, I posted a sign by my desk, and I would not allow others to enter my office space. I also ran a large air filter. Since i was the boss, I laid down laws about no scents, and being in a doctor's office, I spun it to mean, "it's bad for the patient's lungs," and it is! The problem is this... people identify their scents with themselves...as in it is THEM, so if you say, don't wear it, they're offended. Also, they have worn it so long, they don't "smell it," and often they apply more! People who "layer" are the worst offenders. For me it's spray perfume that kills me, lotions are not too bad, or natural scents. Young men today do NOT know how to wear cologne. Most women are taught by their mothers how to apply...in my day, it was dabbed on and only meant to be smelled when someone was snuggling with you. Young men think cologne is aftershave, and they splash it on, or spray it on. Another thing, is fabric softener. I can smell it on their clothes and it makes me sick. My neighbor uses Suavitel, which was bought by P&G from a Mexico and it was not tested here. It clings to my entire house, yard, everything, and keeps me housebound. Perfumes and fabric softeners are products of chemical petroleum, and it's toxic. Most ingredients are cancer causing. Scented candles are also I've learned a lot, an done thing I know, is we can live without scents. Educate. And don't burn candles! Rachel - That is some story about your friend. An aaccurate self-perspective is so hard to come by. It sure didn't help her to disregard the feedback she was getting about the smell. I'm sorry she ended up with such a serious illness. I used to have this friend who was a smoker. She would stop smoking if she had company who didn't smoke, which was very considerate. However, she had one of those aroma machines sitting alongside her couch in the living room. Every time someone would walk in the front door, she'd reach down and flick it on. It usually had jasmine in it which by itself smells very very nice, but when it permeates a small living space like a 8x10 living room, it is overpowering. I always had to ask her to turn it off when I came in the door because it literally made my eyes water and my throat start to close over. You couldn't even smell coffee brewing, it was that strong. Whenever she would go out socially, she didn't smell too good either with all that smoking going on and she literally bathed in cologne trying to cover up the cigarette smell. It didn't work. It made her more odorous. She's gone now but in her later years, she got emphyzema and couldn't stand the smell of the aroma machine herself and had her son get rid of the machine. She always used to complain about my asking her to turn it off, saying she was just trying to make the air more comfortable for her guests since she knew her house didn't smell that good from her smoking in the house. Sometimes it takes an event like hers to realize what smells do to other people. Ok, she got the point years after the fact, but her kids got the point early on when many visitors asked her to turn off the aroma machine. She thought she was being considerate but she never nipped it at the source as long as she kept smoking. blueheron - Yes, I have a sensitive sniffer, too, and can pick up wheat people are wearing long after they cannot! Interesting comparison to Raid! I am sensitive to fragrances. My daughters have picked up my habit of smelling all the fabric softeners on the shelf before selecting one. This is so your wash doesn't come out smelling like fly spray. To my nose, the best fragrances are the essential oils, or very simple perfumes made from them, like the ones made by Crabtree and Evelyn. I think my all-time favorite was their Passionflower--which, sadly, is pretty darned expensive. ologsinquito - It's funny how what smells wonderful and light to one person simply stinks to someone else. There is one particular brand of deodorant that to me smells like Lysol -- nasty. I can smell who has it on in a crowd. Blek! Thanks for pinning, sharing, and commenting! Anyway, I forgot to say pinned and shared. I seem to be very sensitive to perfume smells, which really stink. A good alternative might be essential oils if you need a perfume. vespawoolf - It's so hard to know who is chemically sensitive and with being in such tight quarters like elevators and some workspaces, it can signal a reason for conflict and health problems. Glad you stopped by. I was just thinking about you earlier today wondering where one of those good recipes are? I have friends who suffer from chemical sensitivities, so I am very careful not to wear perfume in enclosed spaces such as at work. I do wear it sometimes for a special occasion on the weekend, though. Yesterday I walked by a man on the street and his cologne was so strong I could smell it several steps away from him! Now that's too much cologne. This was interesting and the photos added humor. Thank you for sharing. CMHypno - That would be awkward, but hopefully one conversation did the trick! My mom always says BO smells like chicken noodle soup. I cannot imagine smelling that 8 hours a day without saying something. Good for you. Interesting hub. I love perfume but some top notes give me a headache, so I have had problems socialising with friends who wore certain brands. But possibly the most embarrassing thing I have ever been asked to do was when the Director General of the company I was working for asked me to speak to a member of my team about their BO! Sparklea - What a great comment that provides a lot of perspective into scents and how people think and feel about them. Thank you for stopping by! Thank you for this insightful hub and all the work you put into it: pictures, examples, research! Very important topic. I plead guilty to one who loves to wear cologne...I don't feel dressed without it. I have worn Odyssey by Avon for years. It is a lighter scent, and the other day at the vets, when picking up my cat, the girl at the desk asked if I was wearing Odyssey? She said her mom wore it and she loves the light scent. It's amazing how a scent can be a good or bad reminder of something good or something bad. Years ago I worked with a person who was moody and terrible to me...she wore white shoulders cologne. To this day I cannot stand the smell of it on anyone as it gives me PTSD. But when I smell other scents they often bring back good memories. No matter how you put it, SCENTS are powerful in many ways...positive and negative. Kmes - It's great to get your perspective! Thanks for stopping by! I actually love the various smells that people wear. I would hate it if people stopped wearing perfume/cologne. It smells so much better than B.O. I can see how too much can be overpowering though. CristinS - Thanks for sharing your story. Aren't you glad your husband stepped up and told him to reduce it? He had probably become desensitized to his favorite scent over time and just wanted to smell good for you all when you visited. Crafty - The greater the love for a scent, it seems the greater the tendency to douse. Have a great weekend. Douse yourself with happiness. Great article Flourish! I have asthma, so I am super sensitive to fragrances. I love candles, but I cannot walk in to a candle store. People douse themselves with perfume and I can't breathe. Hi Flourish. Thank you for the heads up about the Hubpot Challenge. And congratulations to you for your selection also. We'll done. The only thing that could make this article better is if it were a scratch and sniff! I am sharing this one. Rebecca - Wouldn't that be fun? The only thing that could make this article better is if it were scratch and sniff. raymondphilippe - Yes, one with putrid breath is the absolute worst! Oh, Suzanne, bless you all. Thanks for reading and sharing your experience! I guess if everyone is doing the same thing it's probably not quite as noticeable. Lovely read. 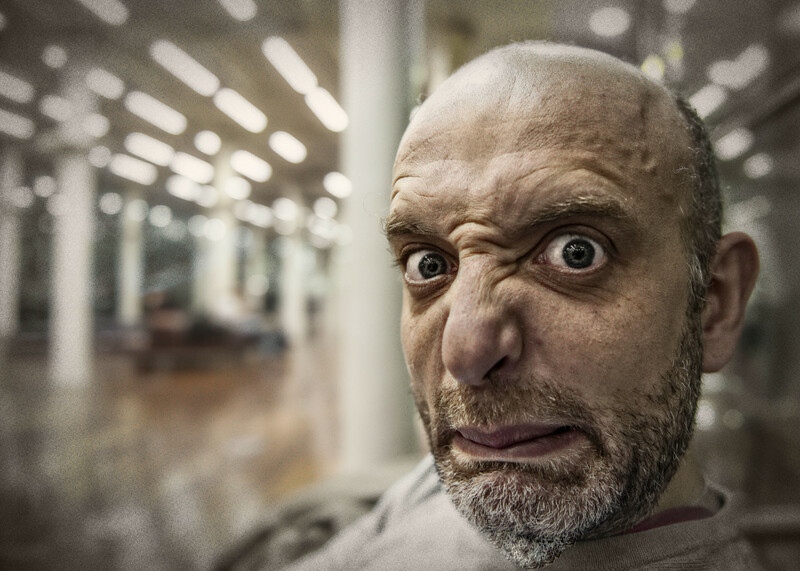 There's probably one thing worse than a smelly co-worker, a smelly boss. I'm guilty of eating tuna for lunch in my cubicle, but I do put on a fragrance. I have a stingy boss who likes to allocate only 2 shirts per worker, which means on hot summer days, everyone stinks of BO because we all don't have time to wash the shirts. You'd think they'd consider that when purchasing work uniforms! Voted interesting. Marie - Thank you for providing this perspective. For those of us who think we're doing the world a favor by smelling nice, it's important that you shared this. I'm really sensitive to artificial smells and scents which I really can't stand. When I first met my husband, he had artificial scented products all over the home which drove me mad - he also loved his deodorant sprays too. Now the only scent in the home is good, old fashioned fresh air and he uses unscented roll-ons. I do struggle when I am near people who wear really strong perfumes - especially in a confined space. Purpose Embraced - It was a cute, humorous video, wasn't it? There's nothing like making light of something and having a bit of fun. Thanks for your insightful hub, FlourishAnyway. I really think that most people are not aware of the possible negative impact their perfume/cologne could have on others at the workplace. I love the "too much cologne wearer" video! I agree with all that you've said. It is true that people don't seem to realize that the scent of perfume too, when applied in excess, can be annoying. Sometimes, co-workers go over-the-top in trying to smell good and they end up dousing themselves in a million different scents. It makes me nauseous! I really like your suggestions. Very thoughtful and useful hub. Voted up! Faith- That's the first I knew about it! Thanks for letting me know! Congrats on being in the top ten again on this one! Awesome! Bill - It's hard to believe that there are those who do work out and choose not to shower. I mean, really? I've had a case or two that involved that same situation. The person was completely oblivious. Interesting topic Flourish. This is definitely an issue in the workplace. Too much of anything can cause a problem. I do workout sometimes during lunch but I always shower. There are some who don't and it is noticeable. What really bothers my nose is the perfume and cologne. Great job. Voted up, shared, etc. Writer Fox - It does make you wonder whether they're confusing the office for a nightclub. Thanks for reading, voting, and commenting! There is such a thing as too much of a good thing! Personally, I'd rather smell something pleasant and I don't mind smelling a little perfume. It's men who wear too much after shave that irritates me! You've given a lot of food for thought on this issue. Enjoyed and voted up! Jackie - Yes, I have seen that posted in doctors' offices, too! It was prominently displayed at the allergy/asthma specialist I went to last year for my nut allergy and also my neurologist's office. I do recall Sweet Honesty ... and Sand and Sable (my favorite). Definitely throw backs, huh? Glad you stopped by! Zainab - I've worked with people who have used candles, air fresheners, heavy cologne/perfume, smoked in their offices, ate very fragrant foods in their cubicles at lunch, habitually burned popcorn in the community microwave, and habitually farted and took their shoes off thinking no one else could smell them. And this was in HR. Gag a maggot. ologsinquito - I can imagine they would feel very trapped and probably angry. FlourishAnyway, this is a great topic. I've dealt with people who have severe asthma and cannot be around any colognes, room sprays, or candles. It can be a challenge in the workplace as a lot of people automatically wear cologne or perfume when they come to work. I even think there are OSHA laws associated with it. I'll look it up! Me personally, I cannot stand the smell of cigarettes mixed with strong perfume. It's horrendous. LaryssaGeorge - We're happy to have your input. Thanks for stopping by! Perfume can definitely be overpowering. Working with someone who's wearing too much scent, for eight hours a day, would be a form of torture. Oh my...scents are a major issue for me. Due to health issues I am very sensitive to smell and can react horribly to perfumes. Thanks for spreading the word. Jo - I'd take Chanel No. 5 over betadine any day of the week. I deplore the smell of that solution. Bless you for putting up with hospital smells. Thanks for sharing your story. I imagine your example says something about your love of that fragrance. I guess the mystery is figuring out what? You'll have to assume it was a good thing unless they speak up. Nancy - Aww, I hadn't thought about our four-legged friends being overwhelmed. I bet they don't like it, given their sense of smell is often superior or comparable to ours. I love the way you tackled this sensitive subject. It was news to me that we can actually identify an old person by smell! Can you imagine how overloaded our pets must be by the smells around them? While I like fragrance, I usually save it for special occasions. At work and meetings I don't wear it.